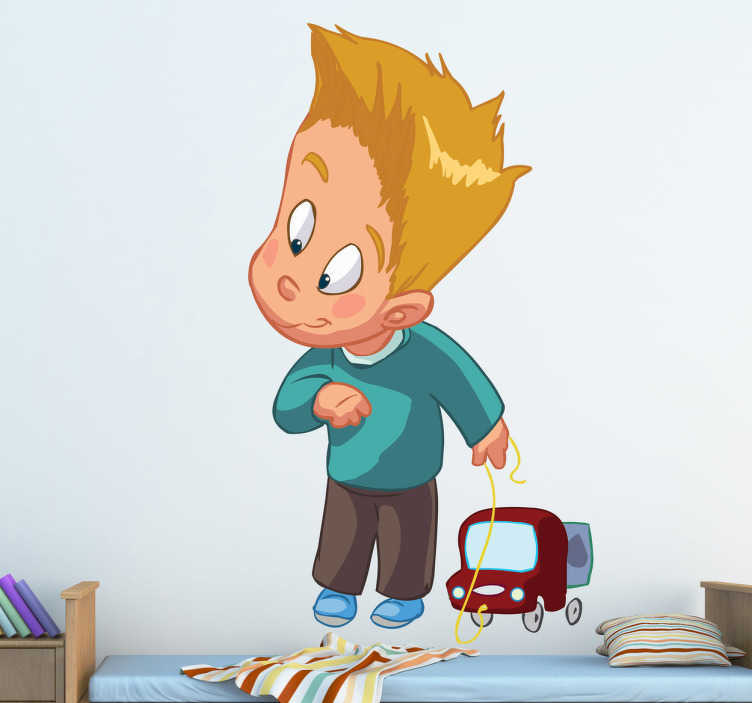 This wall sticker is great for your child´s room as it shows a young boy playing with his toy. Can you imagine your child's face when he sees this amazing design on the wall? Children would be laughing and playing in there room and no need to worry as the stickers quality is second to none and flawless. Make you child´s room exciting, playful and bright. Choose the colour that best suits you. Apply to any flat service and remove without leaving any residue.